I started working in screening all the way back in 2001, with the NHS Newborn Hearing Screening Programme (my first day was the annual hearing screening conference, where I met Sir Muir Gray; he made a lasting impression on me). Way back then, the national hearing screening team was part of the Medical Research Council, some years later and the team transferred to the University of Manchester. By then my role had changed and I was working with Dr Anne Mackie (Muir’s successor) across all the antenatal and newborn NHS screening programmes and teams were spread across the country delivering the recommendations from the UK National Screening Committee (UK NSC). My employer was now the Royal Free Hospital where the hearing screening team had moved to. Then in 2013 all the screening programme national teams came together as part of the newly-formed Public Health England (PHE). Why am I telling you this – other than a nice opportunity to reminisce? 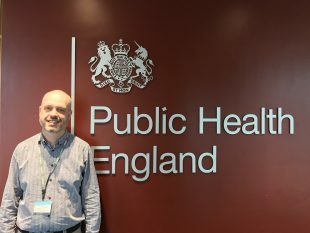 A colleague mentioned how she sees a number of people getting confused between the UK National Screening Committee and Public Health England, and thought it would be useful to write a blog that unpicks the differences. It made me realise it’s unsurprising people find it confusing when even those of us who’ve worked in screening for a (very) long time sometimes get it wrong ourselves. For example, I used to say I worked for the UK NSC, even though it was actually the Royal Free Hospital. It was a complicated structure to understand! PHE has made this a lot clearer. But I often still hear colleagues talking about ‘NSC resources’ or ‘NSC guidance’ when what they really mean is ‘PHE resources’ or ‘PHE guidance’. Does it matter? It doesn’t affect their quality but it is perhaps important in terms of understanding the status and function of the UK NSC and the publications we produce. The UK NSC is the independent advisory committee that assesses the evidence for population screening – of either new conditions or those where there is an existing screening programme – and makes independent recommendations to government ministers in the 4 UK countries. It doesn’t make policy (that’s what ministers do) and it doesn’t implement screening programmes (that’s what PHE and the NHS across the UK does). UK NSC members are independent experts, including clinicians, academics, members of the public and charities. PHE supports the UK NSC by providing its secretariat and running some of its functions, such as its evidence review process. PHE, on the other hand, is a government body (an executive agency of the Department of Health). It’s the organisation responsible for implementing and supporting screening policy in England in collaboration with NHS England. So if a minister agrees to a UK NSC recommendation to implement a new screening programmes, it’s PHE that will work with commissioners and providers in the NHS to implement the programme. PHE also quality assures the existing NHS Screening Programmes. It basically does all those things where it makes sense to do them once nationally rather than hundreds of times, for each local screening service. That includes setting standards, producing public information, commissioning IT systems, setting up framework agreements and creating training resources and e-learning. The UK NSC has an interest in these things and sometimes comments on them in its expert capacity (for instance, it has a task and finish group looking at informed choice at the moment) but it’s not responsible for them. This distinction between the UK NSC and PHE recognises and maintains the independence of the UK NSC in its role of reviewing and assessing the evidence for screening programmes. That’s one of the things that the international comparison of screening policy-making in 2015 said made the system in the UK one of the very best in the world. I’m sure that’s something we would all support. As usual, please do let us know if you have any questions. You can add a comment below or contact the helpdesk. That is really helpful. While I should have known this, it has definitely clarified the functions of each body. Thanks Nick. Thanks for this article Nick. I have also worked for NHSP since 2002 and have always found the distinctions between NSC and PHE "cloudy and confusing". Great clarification.... really useful . Thank you. This has cleared up the blurring of terms. Excellent article.